Mark Rose has an interesting post about a Swiss group that settled in Grundy County. I had no ideas that we had Swiss in Tennessee. I know that my Swiss ancestors came by way of the Alsatian portion of the Palatinate to Pennsylvania and then Ohio and other parts. When I visited Yahoo! this morning I saw a headline that captured my attention: Arizona Driver Gets 70 Speeding Tickets in Five Months. I immediately wondered why this person had not had her drivers license revoked long before she hit 70 tickets. (Actually I suspected it was a male until I read the article. My apologies, men, for making a false assumption.) Anyway, she appears to have always been running late for meetings with clients and just kept throwing away her tickets. Her fines could add up to $11,000 (I'm surprised it's not more) and she could lose her license. It sounds like they should require her to take "Driver's Ed" before she's allowed back on the road. I (like Glenn) am not a fan of those traffic light cameras, but I just can't imagine anyone being stupid enough to get 70 tickets in 5 months and toss them all in the garbage thinking they'd just "go away". Wow - I had no idea it had been so long since I last blogged. Anyway, I ran across an item on Marie's blog that is worthy of comment and linkage. It seems the local school has decided that students only need to go to the restroom 39 times a semester. That's going a bit to the extreme, punishing everyone when it is only the abusers who need to be disciplined. No, I'm not talking about the country song! Nathaniel Hawthorne's wife and daughter were disinterred from their graves in England and reunited with Hawthorne in the Sleepy Hollow Cemetery in Massachusetts. 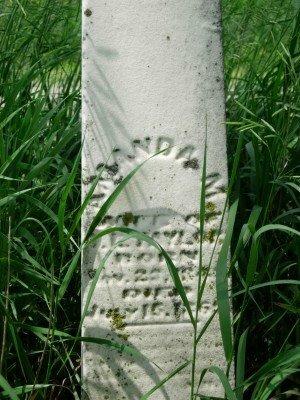 I have read that Hawthorne's The Scarlet Letter was inspired by one of the wives of Stephen Bachiler (or Batchelder), one of my ancestors. Disclaimer: The alleged "Hester Prynne" was not my maternal descendant, and I have not been able to verify this claim. This article claims that Hawthorne's own wife's independence can be seen in Hester. Maybe he had multiple inspirations for Hester? 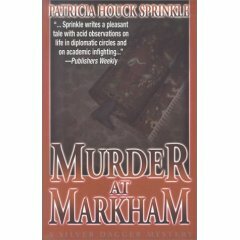 Patricia Houck Sprinkle is a Christian author who has been picked up by major publishers. 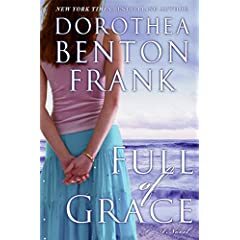 She is much better than your average Christian fiction author. 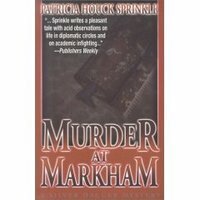 My friend loaned me her copy of Murder at Markham. It appears to be part of a series featuring Sheila Travis, the widow of a diplomat to Japan. The book had enough red herrings to keep you guessing about its outcome. 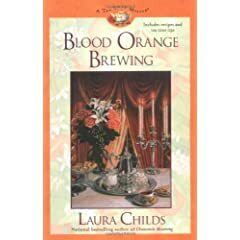 I was a little dissatisfied in the conversation on the last few pages of the book after the mystery had been resolved. I suspect that it was just a set-up to the next book in the series, but it "left you hanging". Overall, it's a pretty good read. I've had this Charlotte MacLeod book for a number of years and finally got around to reading it. The Family Vault was full of unexpected twists and turns. It's one of the better who-dun-its that I've read in awhile. Many are quite predictable, but this one had enough red herrings to keep you second-guessing your conclusions. I will have to get the next book in the series! Will Sullivan of the Picayune Item is disputing the rankings of the sweatiest city in the United States. He believes (and I concur) that New Orleans should have a higher ranking than it does. Will doesn't mention Charleston, South Carolina but it is close to New Orleans in heat and humidity. I do think New Orleans might be a little higher though. Researchers have found that we have fewer close friends than pre-Internet generations. This gives a whole new meaning to Jesus as the Great Physician. Today I decided to make chocolate chip cookies. I mixed all the ingredients and then went to the cabinet to get my chocolate chips only to discover that I had none. I did what anyone would do in such a situation--I improvised. I had a bag of Andes Mint chips and used those. The taste was surprisingly good. I did decide to leave out the nuts though! On the National Register . 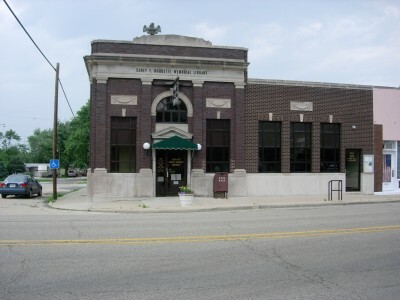 . .
LINK - St. Augustine is one of Northern Kentucky's oldest parishes, and it has now achieved National Register status. LINK - Bonnie Fauver's trip to Termini paid big dividends in her quest for her roots. She plans to go back next year to add to what she has discovered. These photos are from the Denman Cemetery near Carlock, Illinois. 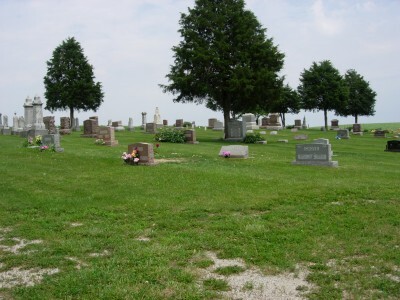 As you will be able to see, most of the graves are well-kept, with the exception of the Taylor family plot, which, of course, was my ancestral family. 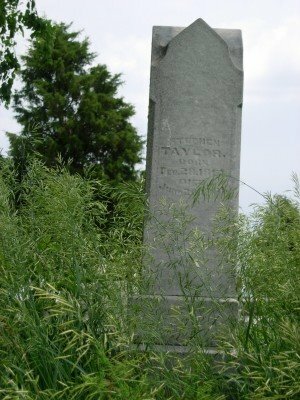 The photo of Stephen Taylor's stone had to be taken from the road below the cemetery as his stone faced the road and the growth around the stone made it impossible to take it from the cemetery. 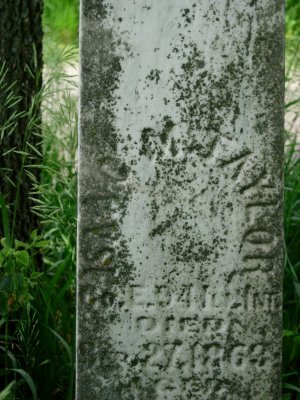 I also took a photo of the Taylor plot from the road. I'm completely tired of driving (and living out of a suitcase), having been on the road most of the last month. Illinois drivers are the worst. I thought Atlanta was bad. Illinois has Atlanta beat hands down. In Atlanta, most folks drive about 80-85. 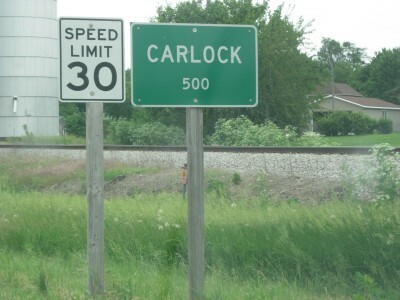 In Illinois, they drive about 90-95 (except in the inner parts of Chicago where it is stop and go). 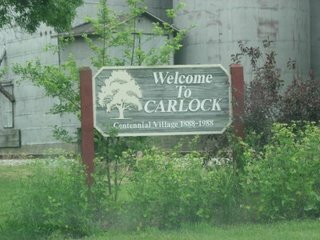 Today I visited some ancestral lands in McLean County, Illinois. I started my day at the courthouse where I discovered that it is a waste of time to go to the county clerk's office. I had decided to start my day at the courthouse because the Museum of History doesn't open until 10 a.m., and the courthouse opened 2 hours earlier. Basically I discovered that the county clerk only issues certified copies of marriages and that they cost $12. You can order a photocopy of the certificate from IRAD for less than that. The Museum of History has the microfilm available as well. The other hassle in downtown Bloomington is that the parking is only for 90 minutes so you have to go move your car every 90 minutes. I had seen a parking enforcement guy when I parked the first time so I knew I'd better move in 90 minutes. 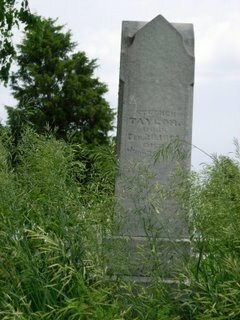 After visiting those, I made a trip to the Denman Cemetery where many of my Taylors are buried. 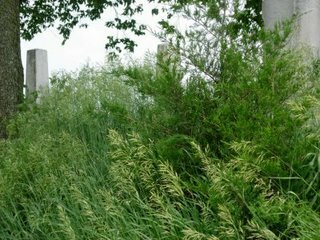 Their graves are the ones nearest the road, but I discovered that someone needs to bring a weed eater to tend to their graves. 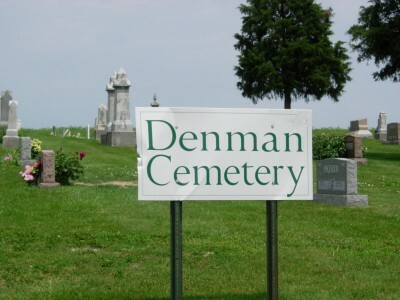 The rest of the cemetery is well-kept. 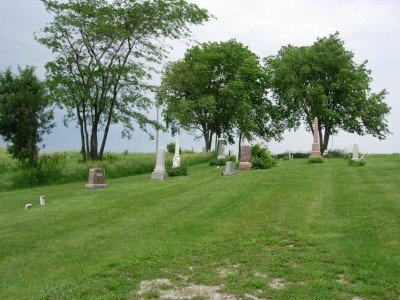 It's just my ancestors' graves that are in need of TLC. 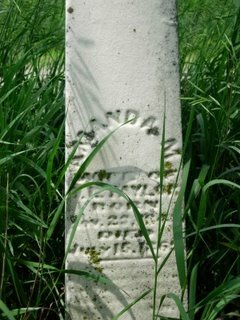 There were also some broken and missing markers in that corner of the cemetery. 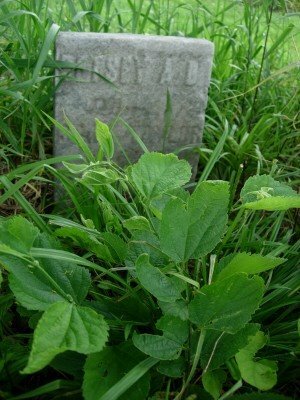 I'm pretty certain that my great grandmother's sister's grave is among those with lost markers. I didn't find it, and I looked through broken markers. After that I toured the town of Carlock where my great grandfather had a dry goods store. 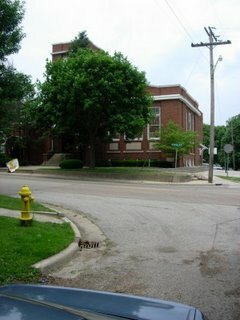 It's pretty small, but I did see the church where the family attended. 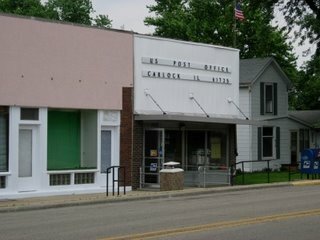 I definitely need to make another trip to McLean County in the future, but my time was limited. I'm now in the Chicago area for the National Genealogical Society's Conference in the States. I will try to upload photos of my McLean County trip sometime later. LINK - I never thought I'd see the day that Glenn would post on knitting. I don't knit. I actually would love to learn, but those self-instruction books do nothing for me. I just can't get the art of "casting on" mastered. I'll stick with cross-stitch, even if it might not be quite so "cool." Sorry - I've been on "hiatus" for awhile. My life has just been very busy for the past 6 weeks or so. I should have more time after this weekend. This article caught my eye. As a college educator, I see more reports of plagiarism these days than we used to see where well-known persons are accused of taking someone else's work and passing it off as their own. This time it is the leader of a country accused.